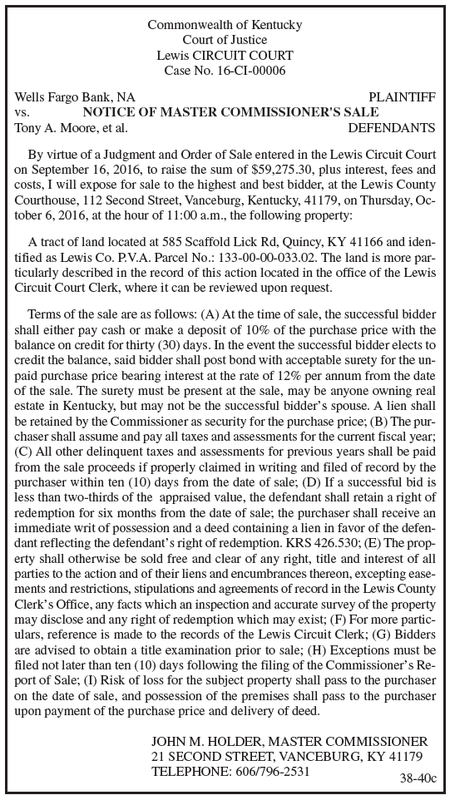 Notice of Master Commissioner’s Sale, US Bank as Custodian for Sass Muni V Dtr vs Amber Mustard Bridewell, et al. 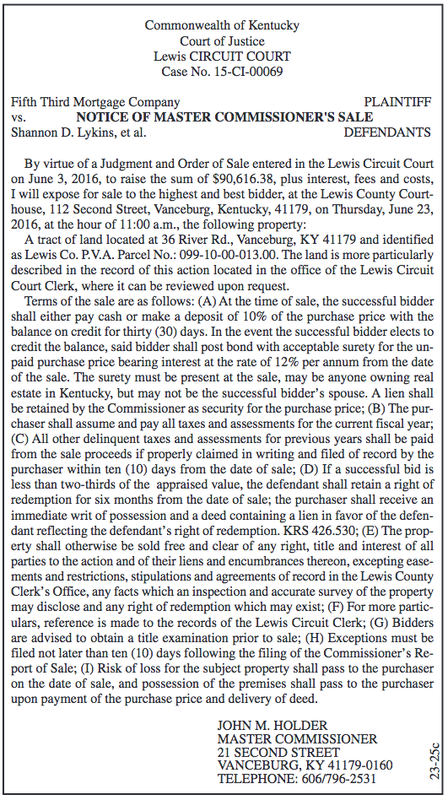 Notice of Master Commissioner's Sale, US Bank as Custodian for Sass Muni V Dtr vs Amber Mustard Bridewell et al. 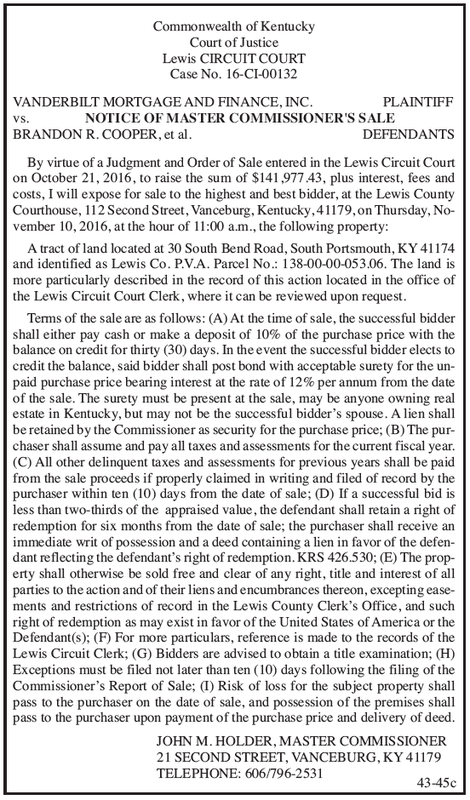 Notice of Master Commissioner’s Sale, Vanderbilt Mortgage and Finance, Inc. vs Harlen L. Scott, et al. 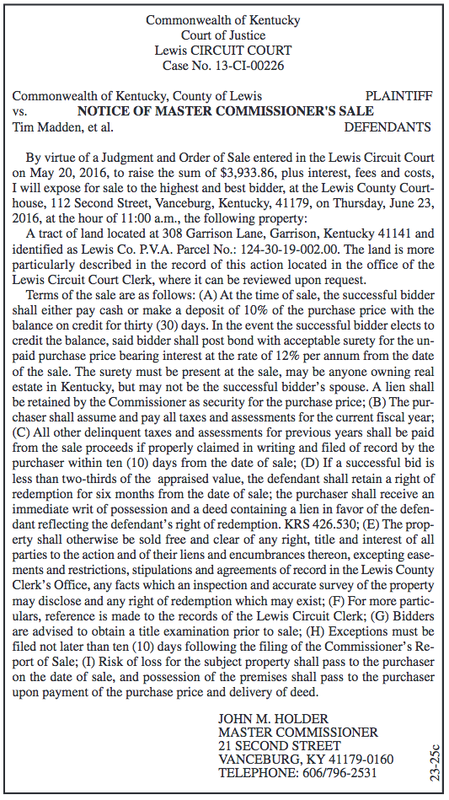 Notice of Master Commissioner's Sale, Vanderbilt Mortgage and Finance Inc. vs Harlen L. Scott et al. 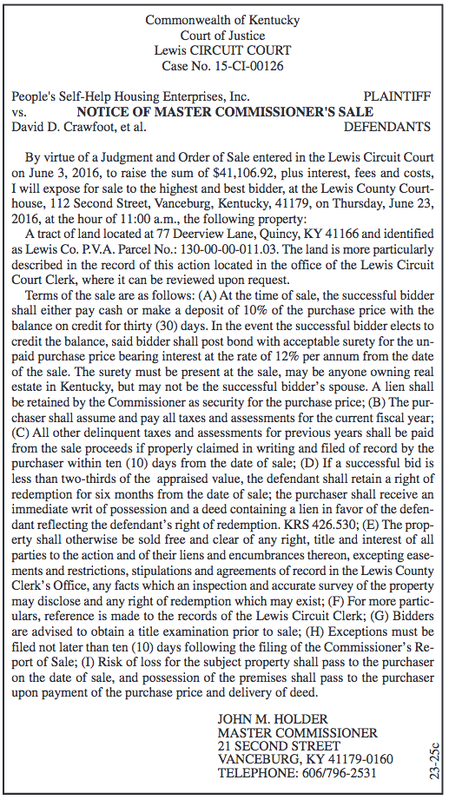 Notice of Master Commissioner’s Sale, JP Morgan Mortgage Acquisition Corp. vs Anthony W. Scott Jr., et al. 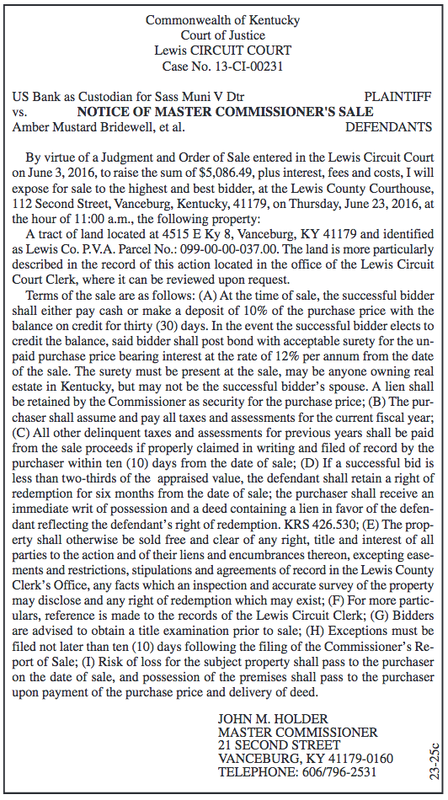 Notice of Master Commissioner’s Sale, Fifth Third Mortgage Company vs Shannon D. Lykins, et al. Notice of Master Commissioner’s Sale, Commonwealth of Kentucky, County of Lewis vs Tim Madden, et al. 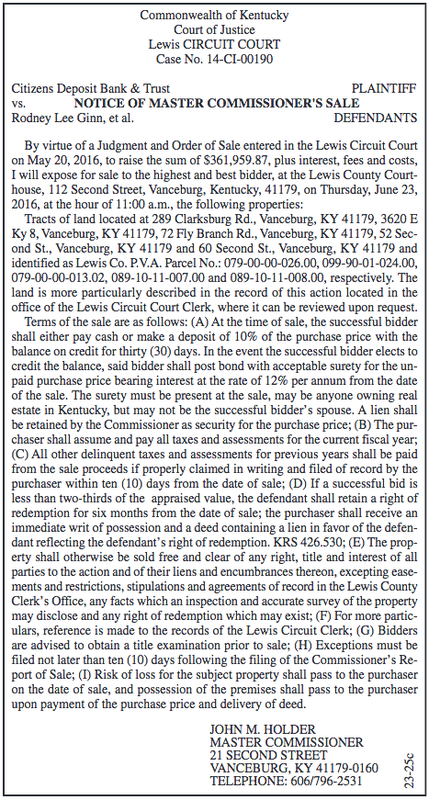 Notice of Master Commissioner’s Sale, Citizens Deposit Bank & Trust vs Rodney Lee Ginn, et al. Notice of Master Commissioner’s Sale, People’s Self-Help Housing Enterprises, Inc. vs David D. Crawfoot, et al.